As days goes by with amazing innovations, we are making each and every physical devices to virtual devices. To prove it, Cube Laser Virtual keyboard is a good example. It totally replaces keyboard with its laser technology. 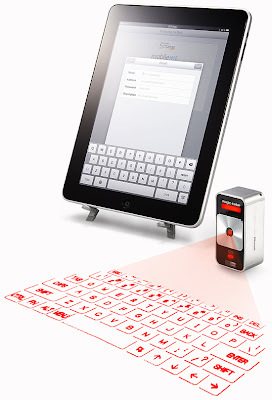 It gives you the flexibility of projecting virtual keyboard with 63 keys and full size QWERTY layout and typing on a surface. It can equally reach typing speed as normal keyboards. 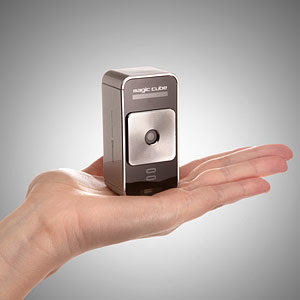 It connects your iPhone,PC or iPad using Bluetooth technology. Apart from keyboard, you can enable simulated keyboard click sounds which is really a cool feature to have. 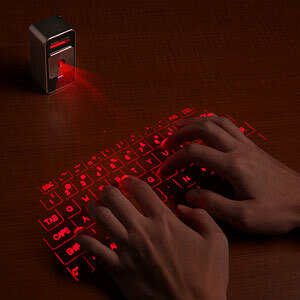 • Mouse mode allows you to use your finger as a mouse rather than typing when using with a laptop. Watch this video to see how to works. If you like this product you can make this your for just $169.99. Price looks high but technology is amazing.